(CNN) -- Ford is selling a 20 percent stake in Japanese automaker Mazda to raise capital, the companies announced Tuesday. Ford is selling a large chunk of its stake in Mazda to raise some much-needed cash. The deal will see Ford liquidate its holdings in Mazda from 33.4 percent to 13 percent. The stocks will be purchased by Mazda and several "strategic business partners," a statement from Mazda said. "The sale of Mazda shares by our partner, Ford, will not result in any change in Mazda's strategic direction and we will continue to accelerate our product-led brand improvement and cost innovation initiatives," said Hisakazu Imaki, Mazda's Chairman, President and CEO. "We will continue our strategic relationship through our ongoing joint ventures with Ford, as well as the sharing of platforms and power trains." Mazda and a group of its strategic business partners will each buy a portion of the Ford shares. "This agreement allows Ford to raise capital that will help fund our product-led transformation, and at the same time, allows Ford and Mazda to continue our successful strategic relationship in the best interest of both companies," said Alan Mulally, Ford President and CEO. 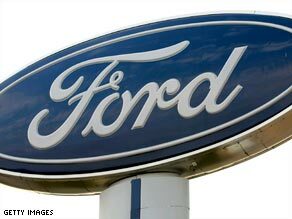 Ford and Mazda have been involved in a strategic partnership for nearly 30 years, the companies said. But like other U.S. automakers, Ford has fallen on hard times and recently announced it lost $3 billion in the third quarter. Along with General Motors and Chrysler, Ford is asking Congress for a $25 billion package of loans to help the troubled industry. General Motors said it plans to sell its 3 percent stake in another Japanese car manufacturer, Suzuki, on Tuesday in its own effort to raise much-needed cash.